Photo of The Butler Collegian staff courtesy of The Drift. Over the past 132 years, the Butler Collegian has been reporting and distributing papers for the Butler University community. The first issue of the Collegian was published in January 1886, reporting on the importance of having a liberal arts education. One copy of the paper would cost 15 cents. By 1900, the Collegian newspaper was covering stories about the academic departments on campus, residential halls and fraternities. At this point in time, the newspaper also introduced coverage of meetings, lectures and sporting events. Since 1911, both men and women have been able to contribute to news for the students and staff on campus. Having men and women work together to broadcast news to the Butler campus was a significant step forward towards equality during this time period. In 1930, the newspaper began expanding reports for not just students and staff at Butler, but also for local residents surrounding the campus. The paper started to write about world news as well as societal news, and had the largest circulation of any state community paper. By this time, the Collegian was the world’s largest college-edited paper. During the early 1940s, the staff of the Collegian had to adapt to World War II. Specifically in 1943, the news outlet had to re-establish staff, as some members entered the armed forces to fight for our country. Also during this time, the newspaper began writing shorter, more concise articles to be able to cover more events happening at the same time. 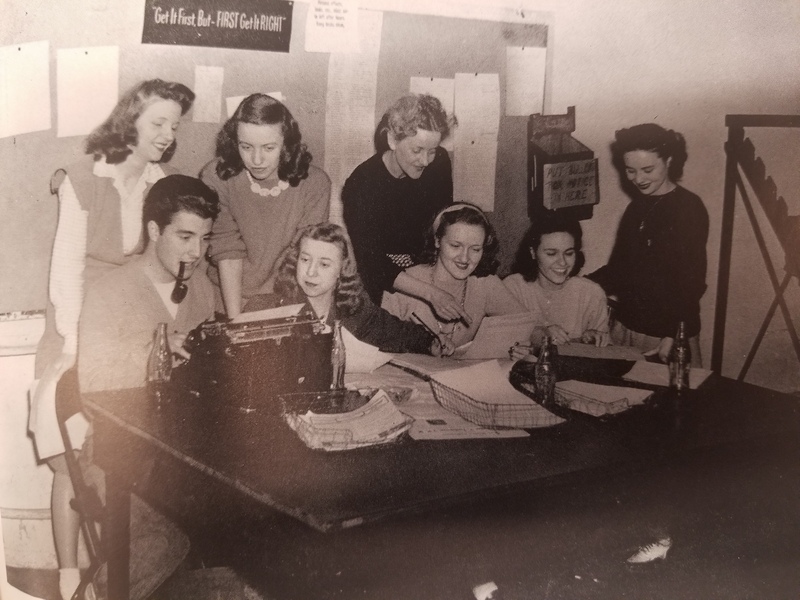 By the 1950s, the school newspaper was reporting updates about the current additions that would change the aspect of living on campus, including Atherton Union and Ross Hall. Ross Hall was completed by late 1954, intended for men in the Air Force ROTC. Other men who were not serving in the military were allowed to live there as well. In 1985, members of the newspaper were reporting stories about school politics and social events such as the movies shown each week for the students and faculty to enjoy. Approaching the Information Age of the 1990s, the internet would allow Butler news to be broadcasted among an audience of millions. The online source was named Dawgnet. Dawgnet and the Collegian often worked together to share news articles and photographs. By fall 2009, both platforms came together to produce online and print content. This organization continued under the name the Butler Collegian. Beyond this point, the school newspaper would be nationally recognized and cited in some of the biggest newspapers in the country. This includes the New York Times, National Review, Indianapolis Business Journal, and even National Geographic magazine. As of the 2018-2019 school year, the Butler Collegian has over 90 active members reporting for various sections including news, sports, culture, opinion, photo and multimedia.